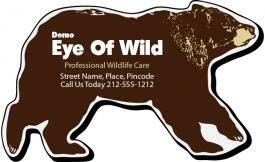 Take a giant leap towards recognition by gifting away these custom 2.75 x 4.5 inch bear shaped full color wildlife care magnets – 20 MIL. Being large in size, this magnet offers enough space for imprinting business information and creates stronger impressions than regular business card magnet or any other promotional magnet. It is perfect for promoting wildlife care awareness, zoos, animal care businesses, pet supplies, pet grooming, pet breeding or pet boarding services and veterinary services. 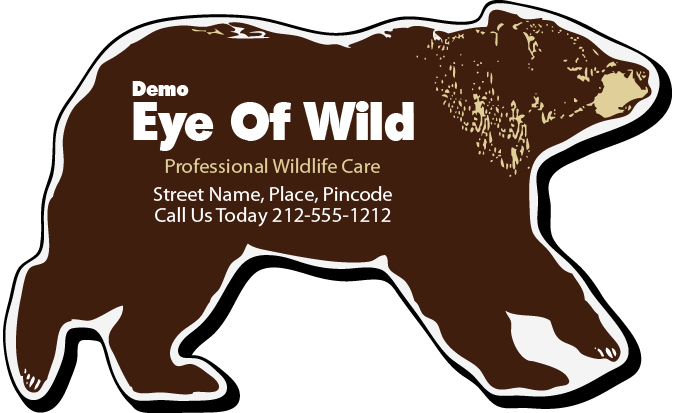 Request a quote to know wholesale price savings for customized 2.75 x 4.5 inch bear shaped full color wildlife care magnets – 20 MIL. Thickness – 20 MIL. Non-toxic made in USA white flexible magnet. This eco-friendly magnet contains 50% recycled magnetic material. Not suitable for outdoor use. Imprint Method - Process Color (CMYK) printing or Spot Color. Spot Color price includes 1 imprint color of your choice. Wipe- off surface not offered until specified in the order. Product Size : 2.75 in. x 4.5 in.